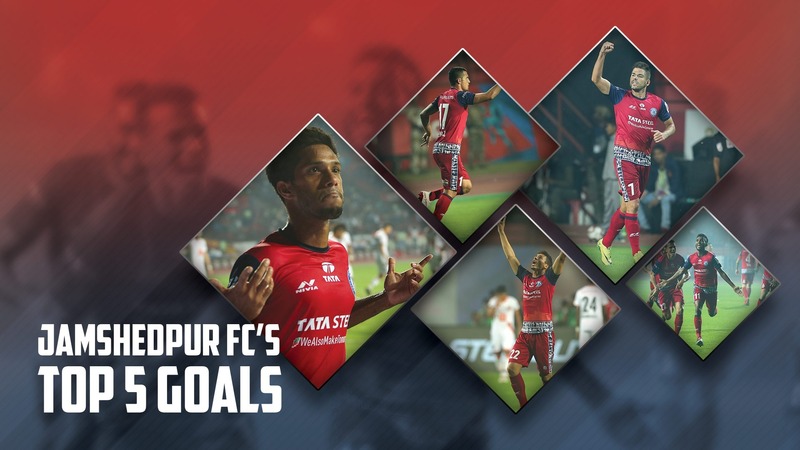 With 21 goals in 12 games and being unable to score in just one match so far, it is safe to say that Jamshedpur FC have made their presence felt in front of goal in the Indian Super League 2018/19 season. A highly functional Spanish unit along with the arrival of a certain Tim Cahill, the side from Jharkhand has scored for fun in this edition. Since his arrival on these shores, footballing fans around the country were longing to see the Australian legend get on the scoresheet and do his iconic corner flag celebration. And the much-awaited moment came in our home fixture against Kerala Blasters! In the third minute of the game, Carlos Calvo whipped a cross from a corner with the delivery aimed at none other than Tim Cahill. Beating his man with ease, Cahill, as he has done bazillion times in his career, dived towards the ball and thumped the ball in the back of the net. It was the apt way for the Australian to open his Jamshedpur FC account and he treated the supporters at the Furnace by celebrating in his usual corner flag punching way. Just like Cahill, the arrival of Michael Soosairaj from Chennai City FC was the talk of the town as a lot was expected from the youngster in his debut season in the Indian Super League. Against Kerala Blasters, Soosai gave a hint what's going to come with a peach of a strike in the first half at the Furnace. Soosai latched onto a loose ball from a Dhanachandra Singh throw-in and from a tight angle, curled one past the Blasters goalkeeper with conviction. To hit a shot with such power and still managing to curl it in the side netting from a difficult position requires talent and there is no doubt about the abundance of talent that Soosairaj possesses which was on show against the Blasters. Jamshedpur FC were looking for a winner against the Dynamos to end the calendar year on a high. Tim Cahill had scored the equalizer for the hosts in the first half and the team needed to find another goal from somewhere. Just after the hour mark, out of nothing, Farukh Choudhary scored a stunning goal to give Jamshedpur FC the lead and send the crowd into ecstasy. From a Carlos Calvo corner, a scramble ensued in the box which provided a half chance to the Indian international. Choudhary controlled the ball with his left and then hit a stinging shot with his right past Albino Gomes. The most striking thing about this goal was the sweet connection that Choudhary had with the ball despite being off balance. Farukh's goal was truly worthy of winning any game of football! Jamshedpur FC produced inarguably their best performance in Indian Super League so far against FC Goa at the Furnace. And that display was made extra special by a special strike from Memo Moura! The defensive midfielder is not known for his prowess in front of goal but against the Gaurs, the Brazilian showed the other side of his game and how! A blocked shot from a Jamshedpur FC corner made its way to Memo who was stationed outside the box. With his weaker left foot, Memo hit a thunderous shot that hit the upright and nestled in the top left corner of the Goa goal. Mohammad Nawaz, the Goan goalkeeper was left rooted at his spot as he could just watch the ball sail past him. Memo's goal was the third of the night for Jamshedpur FC which gave them clear daylight against the Gaurs and providing the icing on a sweet victory. There are some goals that you can watch countless times. Pablo Morgado's strike against the defending champions definitely falls in that category. A clean hit from around 30 yards that swerved past the Chennaiyin goalkeeper, Morgado left us no choice but to stand and applaud for his brilliant effort.